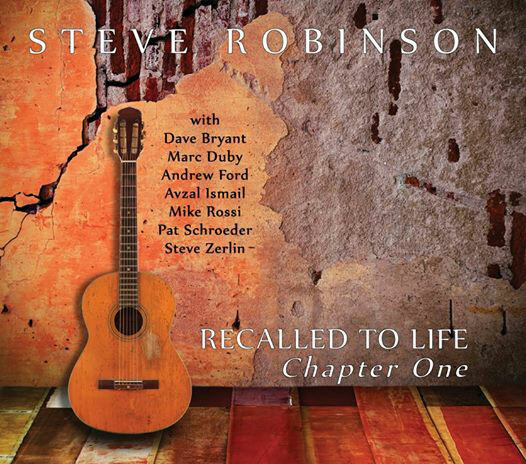 Art of Life Records is pleased to announce the upcoming debut release by British guitarist Steve Robinson entitled, "Recalled to Life - Chapter One". Featuring Dave Bryant, Marc Duby, Andrew Ford, Avzal Ismail, Mike Rossi, Pat Schroeder and Steve Zerlin. All compositions are by Steve Robinson. We will be releasing two albums by Steve and the first one will be available by the end of this year with the second album to be released in 2017. We will post another announcement when the first album is available for ordering via our web site at Art Of Life Records.